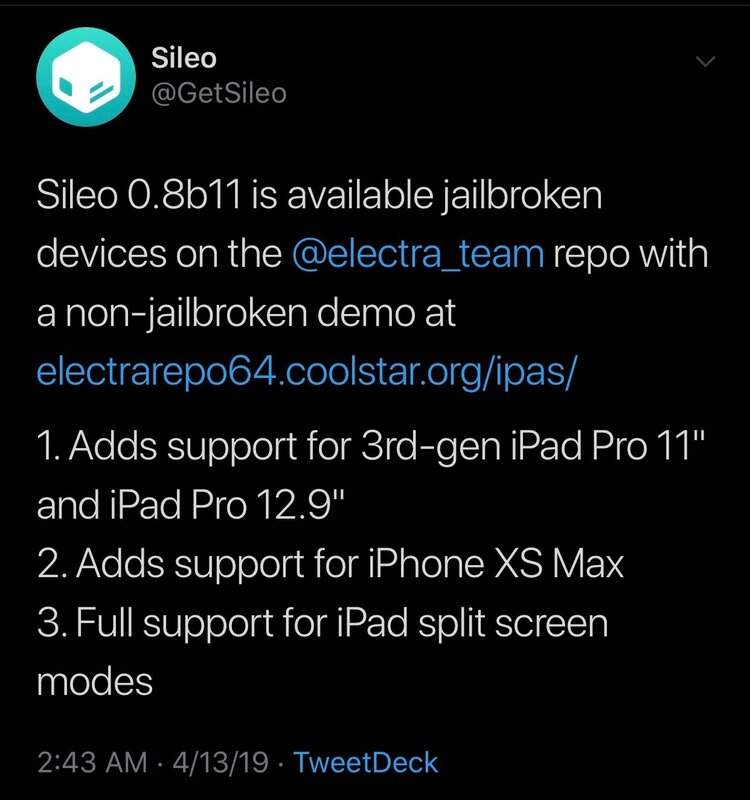 If you have an iOS 11 device that has been jailbroken with Electra, then you can download and install the latest version of the Sileo beta preview from Electra’s default repository. Even if you haven’t yet jailbroken your device, you can side-load the latest .ipa of the Sileo Demo with Cydia Impactor. We also expect that third-party signing services such as Ignition will have the new Sileo Demo available for download soon. It’s important to remember that the Sileo package manager is still in beta, and so bugs or missing features are to be expected. There’s no official ETA for the official release, although recent teasers involving iOS 12 have shown that it’ll be a zippy addition to the Electra12 jailbreak when released. not in the comments section below.